Director's Statement - Who was that masked man? Ten years ago I was at a garage sale with my husband Steven in our hometown of Nottingham, England. On a stall filled with cheap ornaments and dog-eared paperbacks, standing proudly at the front of a box of faded vinyl records, we found the below album. Who was this mysterious masked man, standing hand on hips, with his perfect raven hair and sta-press trousers? What the hell was his story? Most of all, though, there was this guy in the blue rhinestone-studded mask with the voice of Elvis. I had to know more. The story I uncovered was one of the strangest I’ve ever encountered. As a documentary-maker, I’ve long been fascinated with stories that peek under the surface of popular culture and the machinations of the music industry, or explore just how important music is in our lives. Stories like The Great Hip Hop Hoax about two Scottish chancers who faked their way to a record deal by pretending to be American rappers; SOUND IT OUT about the very last record shop in my home town in Teesside or Goth Cruise a documentary about 150 goths (along with 2500 norms) taking a cruise in the sunshine to Bermuda. But this story had it all. A roller coaster tale of the Nashville music scene in the wake of Elvis Presleys death, taking in deception, a quest for success, a search for identity and ending in brutal and tragic murder. 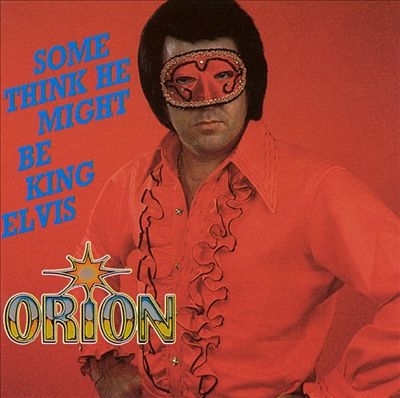 Even if you’ve never heard of Orion, you probably know about the Elvis is Alive myth. What I uncovered was that the story of Orion is the story of how that myth got started. In the marketing offices of Sun Records, maverick producer Shelby Singleton came up with the plan to utilize the incredible pipes of Alabama singer Jimmy Ellis  a voice which was both a blessing and a curse to the singer. 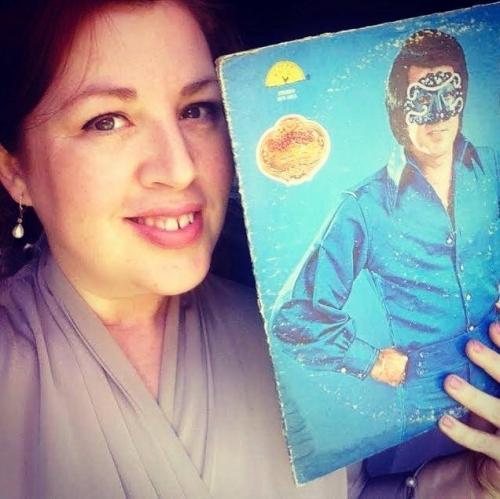 Ellis had found it hard to get a solid foothold in the industry because of the similarity of his voice to Elvis a similarity which was wholly unpracticed. Jimmy didnt try to sound like Elvis, he just did. That made it hard for any record company to use him. In a move that Shelby himself later described as ”part madman, part genius”, Sun Records put a mask on Jimmy Ellis, rechristened him Orion and unleashed him on an unsuspecting world. In Jimmy Ellis, Shelby had ”The Voice”. And the book gave him a name, and a backstory. A copy of the letter announcing the name ORION for the first time. The mask was the beginning of the Orion mystery. Orion was now out in the world. Performing across America, always in the mask, always in character (legend was that Shelby would fine Jimmy if he were caught not wearing the mask at any time). And the crowds came. Hundreds and thousands of them, many coming for that voiceand many simply coming for the fantasy, the fantasy that the thin mask kept precariously in place. But for Jimmy, it was a frustrating ride. Orion traveled the world while on Sunincluding, bizarrely, performing with Kiss in Germany putting out seven albums on Sun in just five years, but Jimmy hated the mask; the gimmick that provided the all-important mystery was ultimately a trap. He could never be himself. When the gimmick wore thin, Ellis discarded the mask. The fragile spell was broken  but Jimmy was free. However, he struggled to step out of the shadow of Presley and the voice he was blessed and cursed with. He tried out many different identities  Ellis James, Mister E  he put the mask back on, then took it off again – but he never really found the same bright spotlight again. In December 1998, back in Orrville Alabama, the town he had left many years before to find success in music, Ellis was brutally murdered in his pawnshop during an armed robbery. A tragic ending for the man with the voice of a legend.